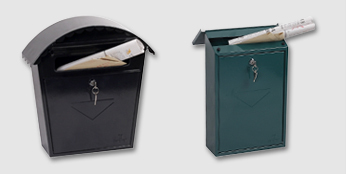 Our safes were the best value for money products we’ve bought this year. We bought the sky blue one for my nephew’s birthday and then my niece wanted one straight away. We bought the bubblegum pink one for her and they had happy birthdays. Delivery was great too, we knew when the packages were coming through real communication. I also liked how the products came with all the fixings and a very clear instruction leaflet. The idea of supplying 2 keys was also really welcome. I think the size is ideal too, everyone should buy one for those things they’d like to keep safe. I’m very happy with all the services from beginning to end. I think you’ve captured customer communication to a very high level. 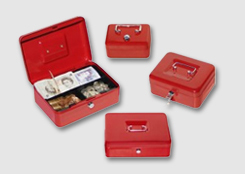 This safe is great value for money. It is enough for all your small items and very easy to use. Purchased this item to compliment larger safe kept upstairs. These days my wife has difficulty climbing the stairs, so this one is kept downstairs for such items as regularly used, such as credit cards and loose cash papers. It supplies us with not only security but convenience also. How often have you laid a document down in a safe place, only to realise that the place is so safe you cannot find it again. With this safe you come back from shopping and just pop your credit cards, spare cash, receipts etc into the safe via the slot. You don’t even have to open it. Somewhere safe, convenient, easily accessible. Peace of mind at a very moderate price. Just remember not to keep the spare keys in the safe. I was very impressed with the high quality of this safe and it is definitely value for the price I paid. Also, the slot at the top is very useful for putting in cash quickly without having to open it. This is a brilliant function for quick deposits. The reason I decided to buy this product was that I needed to store a large amount of valuable material – the usual items of money, foreign currency, passports and jewellery, but also house policy etc. The safe, which has very easy access, is very large and I have been able to easily fit everything into it including a large camera and spare lenses. What I particularly like about this safe is that it’s able to fit very neatly under a work top and is also hidden from view – but it is also very accessible. Well packed and fast delivery. Better quality than expected for good price. First time buyer of a safe for shop use. Good clear instructions both online prior to buying and sent with the safe on how to fix it to the floor with supplied special screws. Quite heavy but did feel best to fasten to floor. Inner shelf adjustable so easily holds A4 ring binders vertically with plenty of space still on top shelf for other items. The safe is locked with a key. Two keys supplied at time of purchase. Happy with my purchase for safe size and quality. This is an excellent product and is very well built and perfect for the job in hand. It was very easy to install and also very easy to use. It is very secure. This is a three gun cabinet and there is plenty of room for three gins. The delivery was quick and the cabinet was securely packaged and arrived on time. The overall process of purchasing and receiving the product was simple and hassle free. Having received the cabinet it was well worth the money. I would have no issues recommending anybody to buy this product.